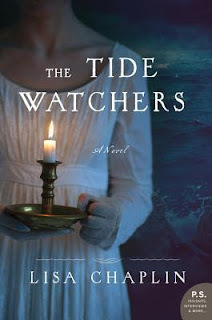 Like Lisa Kleypas' return to both writing historical romance and Avon books, her publisher in 1992, to my return to her new historical romance series and her latest novel, I feel like I've come full circle. Back in 2007, some new friends decided to start a long distance book club. I won't bore you with our original mission. 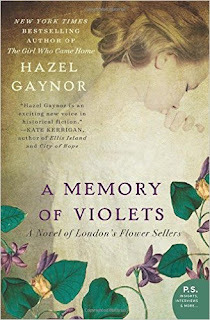 Suffice it to say that the first book undertaken was a Lisa Kleypas romance, and before too long, discussions via email, Skype and other means of long ago technology were put to use to pick apart and discuss this author's earlier efforts. She's remained a favorite of mine since, not only because she can certainly write, but because she was truly a catalyst in cementing a long-lasting circle of friendship. 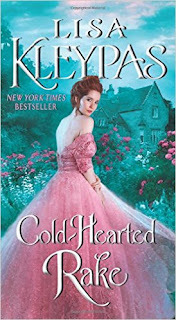 Cold-Hearted Rake, set in Victorian England, is the story of Kathleen, Lady Trenear, and Lord Devon Ravenel, the new Earl of Trenear, who inherits after Kathleen's first husband inconveniently dies after three days of marriage. Kathleen, brought up by the highest sticklers in polite society, has very distinct and non-negotiable ideas about mourning and proper behavior. With the responsibility of her three younger sisters in law on her shoulders, she is faced with the very real possibility of losing her home. And when her cousin by marriage arrives, preceded by his reputation as London's most notorious rake, her fears reach new heights. Devon has no plans to put the estate back in financial order at first. Disheartened by his inheritance at the end of nobility's golden era, and burdened by his change in lifestyle, Devon must make a decision. When confronted with the reality of Kathleen and his cousins, his tenants and staff, he is reminded of the responsibility that is now his, whether he wants it or not. Against the backdrop of their burgeoning attraction, Devon and Kathleen, with help from Devon's brother West, each change and reform enough to begin to make a success of the burden they have taken on. The tale is not without its conflicts. There were parts of this story where I could honestly say I didn't like either of the protagonists. Kathleen probably took the brunt of that more than Devon. She's just so rigid, bossy and opinionated at times. And Devon, who does live up to the title of the book, does not get a pass; not until well into the novel. The changes in both these characters, when they do come, are hard won, and you are all the more appreciative for it. And like the long ago book we read in 2007, no one can write a love scene like Lisa Kleypas. With the added tie-in to her next in this series, Marrying Mr. Winterborne, there's plenty here for her fans to appreciate. I foresee a sequel for West Ravenel and the twins, Cassandra and Pandora, as well. I'm happy to follow this new cast of characters wherever Ms. Kleypas decides to take them. Welcome back! Highly recommend. 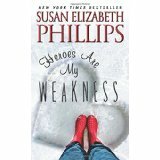 This wonderfully quirky novel is the newest release by Susan Elizabeth Phillips. Mix a semi-gothic story line with slightly damaged, yet attractive protagonists (one of whom is a ventriloquist), an isolated island setting and hardy, resourceful islanders, and you have a recipe for a fun, fast, late summer read. Annie Hewitt has come to Peregrine Island to preserve a bequest given to her mother by her ex-stepfather. Annie must occupy Moonraker Cottage, a small house located on the grounds of the much larger Harp House, for at least 60 days a year in order to keep it. Having no other visible means of support, except her puppets, and no place to live, she comes to the island following her mother's death. She never expects Theo Harp, a childhood nemesis and possible psychopath disguised as a Stephen King-type novelist, to be in residence in his family's home. As teens, Annie was convinced that Theo tried to kill her, and nothing since then has changed her mind. When she's again drawn into Theo's circle, she begins to question her past and when things start to take a sinister turn, she turns to first Theo, then another childhood friend, Jaycie, for answers. The mystery of the story pulls you in, but it's the characters that keep you coming back for more. Annie and Theo are drawn perfectly as two people committed to finding the worst in each other. We are allowed to watch that all slowly change, as secrets from the past are revealed. Jaycie and her mute daughter Livia, along with the Peregrine islanders are all an important part of the narrative. Ms. Phillips signature humor is definitely evident. There were some lines in this novel that actually made me laugh loud enough to be heard in the next room. You'll know them when you read them. 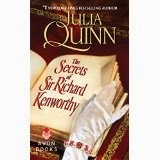 If you're in the mood to end your summer on a highly suspenseful, romantic and funny note, this is your Labor Day gem. Highly highly recommend.